Once the shock of their inspection results begins to wear off, these property owners then need to start addressing these issues, likely with a sign of resignation and perhaps some indignation as well. However, depending on the extent and severity of the damage, this task may seem overwhelming, especially when layered onto the standard jobs required each spring to give the property its customary kick-start. Even with this itemized checklist, and perhaps the absence of any major winter damage, the time and effort needed for the proper care and maintenance of lawns and gardens in the spring can still seem overpowering to many property owners. As a result, they may elect to leave their lawn and garden care in the hands of an expert contractor like Landcare, a leading garden landscaping maintenance provider within Toronto and the surrounding area for more than 20 years. To submit a general inquiry about Landcare’s services and receive a response within 48 hours. Although do-it-yourself lawn and garden care can generate a sense of accomplishment as each aspect of the spring checklist is completed, it can be a time-consuming process. And, if one believes that time is a form of currency, it may not be as cost-effective as it initially appears. In the spring and beyond, lawn and garden care for Toronto properties will benefit from the insight and expertise of a professional landscaping service. 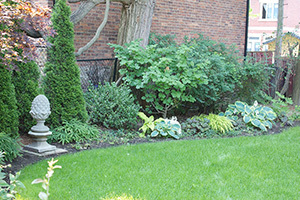 To benefit from the expertise of lawn and garden care professionals, call the landscaping maintenance specialists from Landcare today at 647-557-7307 for a no-obligation consultation on how we may revitalize your property this spring and keep it looking healthy and vibrant throughout the summer and the fall as well.